Magic Christopher is a great Children’s Entertainer who magical birthday parties are full of magic, games, music and fun. 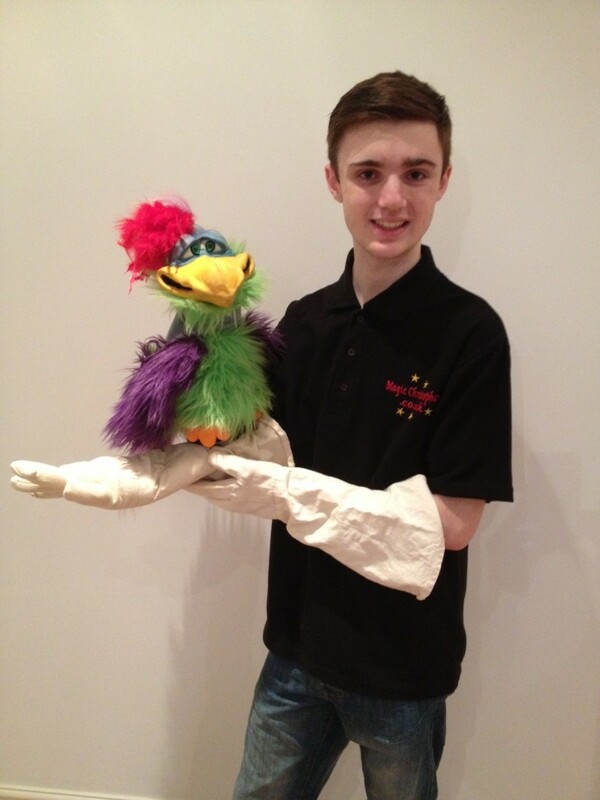 Magic Christopher’s shows feature Puppets and Children’s Magic. Magic Christopher’s shows are full of fun and magic. Kids and parents love Magic Christopher’s party games, magic and music. Magic Christopher, the children’s magician performs exiting and funny magic and tricks right in front of your eyes, leaving the audience spellbound! Magic Christopher is based near Larbert and he is available to perform magic across Central Scotland including; Alloa, Airth, Bishopbriggs, Cumbernauld, California, Dunblane, Dollar, Dunfermline, Falkirk, Grangemouth, Glasgow, Kilsyth, Linlithgow, Livingston, Stirling Stenhousemuir and other surrounding areas. This entry was posted in Balloon Modeller, Children's Entertainers, Children’s Magic, Kids Birthday Parties, Kids Entertainers, Magic Christopher, Magician, Party Magic, Puppet Show and tagged Airth, Alloa, Bishopbriggs, California, Children's Entertainers, Children’s Magic, Clydebank, Comedy Magic, Coupar Angus, Cumbernauld, Dollar, Dunblane, Dunfermline, Edinburgh, Falkirk, Glasgow, Illusions, kids party entertainers, kids party magician, Kilsyth, Larbert, Livingston, Magic, Magican, Motherwell, Party Magic, Perth, Peter Kinney, professional children’s magician, Puppet Show, Run Rabbit Run, Stirling, Tricks, West Calder. Bookmark the permalink.